Despite spending most of “World Enough and Time” playing a good guy (or gal), the mischievous Missy on Doctor Who seemed genuinely surprised to see her former self unmasked. She quickly proved a turncoat, teaming up with the Master. But, if Missy truly is a future incarnation of John Simm’s Master, then why doesn’t she remember the schemes of her former self? “World Enough and Time” did much to remind us about the Doctor’s fondness for the renegade Time Lord the Master, aka Missy. He sees himself in her, and therefore wants her to be good. And though it seemed as if she was genuinely trying to be good, she turned on the Doctor almost immediately after encountering the Master — despite implying that she doesn’t remember any of what’s going on. It’s reminiscent of The Day of the Doctor 50th anniversary special, in which the oft-forgotten War Doctor teamed up with the 10th and 11th Doctors to change Gallifrey’s history, saving the home of the Time Lords rather than destroying it with the Moment. When the 10th Doctor meets his future self — the 11th Doctor — he says, “Okay, you used to be me. You’ve done all this before. What happens next.” The 11th Doctor doesn’t have a good answer. 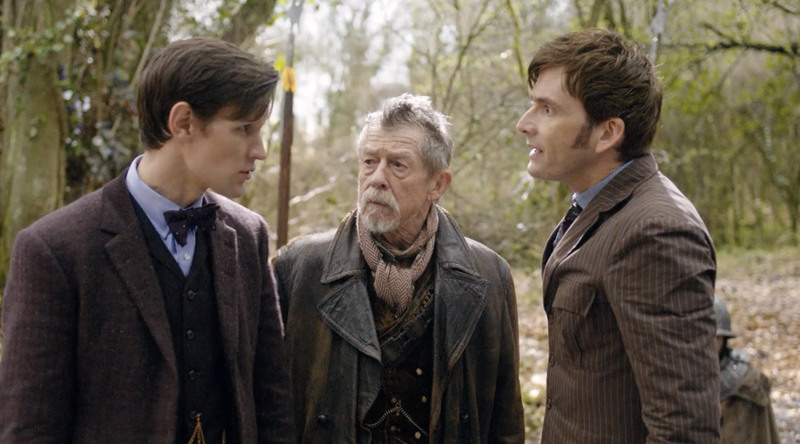 War Doctor: I won’t remember this, will I? 11th Doctor: The Time Streams are out of sync. You can’t retain it. No. The 11th Doctor went on to carry those memories with him. Which might be what is happening with Missy in this case. The John Simm Master will end up “forgetting” everything because the time streams got crossed. The mechanics of this are largely written off as “timey-wimey” nonsense, but the same time-traveling effect could be at play in Season 10. The Master and Missy aren’t supposed to cross paths, and in doing so, it would result in Simm’s Master losing any memories of the event going forward — which would mean that the eventual Missy wouldn’t remember any of it. But does it really matter when you’re a renegade and chaotic Time Lord just looking to cause problems for the Doctor? As the Doctor battles three different kinds of cybermen and dies in the Season 10 finale, perhaps we’ll learn how and why Missy came to team up with her former self. The Season 10 finale of Doctor Who, “The Doctor Falls” will air Saturday, July 1 at 9 p.m. Eastern on BBC and BBC America.